Packed powder beneath you, crisp mountain air enveloping you, and towering pines standing at attention on either side – this is what we call paradise. The resort is only a 90-minute drive from the Denver International Airport, yet once you arrive it feels like the bright lights and weaving freeways of the city are much farther away. 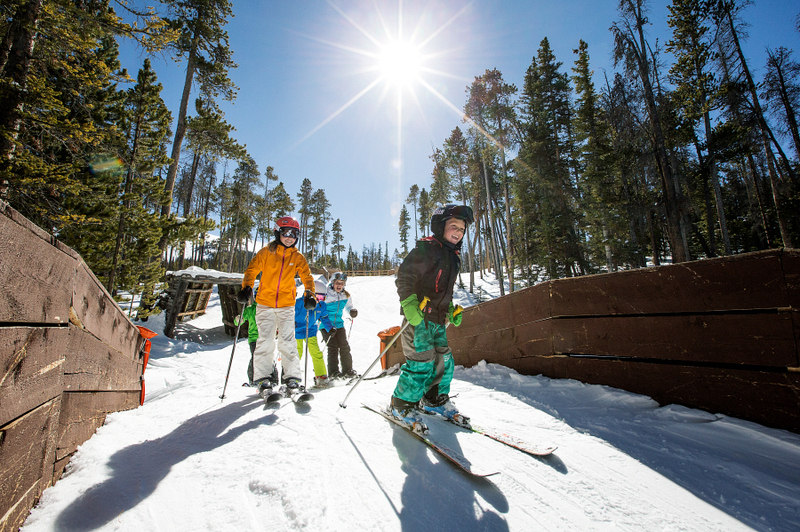 Keystone is the perfect respite for your entire family. With free parking and in-resort transportation (including red wagons to transport kids and gear between your room and the mountain), you don’t have to worry about a thing during your stay. Need to win over your gang? Here are five points of persuasion sure to have your entire fam jazzed about shredding their way down the mountain this winter. Kids Ski Free… No, Really! If your kiddos are 12 years old or younger, they ski free with any two-night stay at the resort. 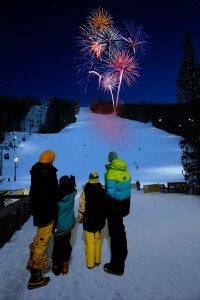 Just mention your rug rats when you book your stay, and your free lift tickets are waiting at check in. There are no blackout dates! It’s like a magic trick, but without the trick. The fun freebies don’t end with lift tickets for youngsters. Kidtopia has an action-packed itinerary every day, and most of the activities are also on the house. 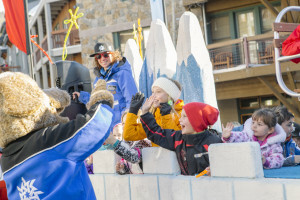 Some of the best offerings include the Saturday Ripperoo’s Village Parade and evening fireworks, and Monday Snowball Launch. Your entire family is also invited to build snowmen, watch movie matinees in River Run Village, and do some old-fashioned tubing throughout the week. The World’s Largest Snow Fort opens in mid-December, and the Kidtopia Holiday Spectacular features a special lighting ceremony of the snow fort, mountaintop activities and a special visit from Santa If you’re visiting at the tail end of the season, check out the Kidtopia Music Experience for a week of music and special events. So you thought you had to be an expert to enjoy the slopes at Keystone? Au contraire. Keystone Ski & Ride School caters to everyone. Get a beginner’s course on skiing or snowboarding, or hone your existing skills with more advanced tutelage. 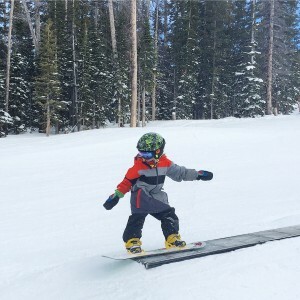 Take your adventures to new heights with a Family Private Lesson so you can enjoy quality time together on the snow. Better skills mean bigger thrills so get ready to unlock a new level of adrenaline. Sure, shredding up the fresh powder has your gang feeling on top of the world. But the fun at Keystone doesn’t end at the final stop of the ski lift. Sleigh rides, mountaintop snowcat tours, and tubing at Adventure Point keep the party going. Tubing adventures continue even after the sun goes down; thanks to the lights and the resort’s commitment to your good time, you can keep sliding after dark. Just make sure to get a reservation. Plus, if you’re not ready to click out of your skis when the sun sets, ski under the stars during night skiing operations at Keystone – offering the longest ski day in Colorado! Even if you’re traveling with a large clan, Keystone can accommodate your fam. There are more than 700 condominium-style accommodations at the resort, many of which have multiple bedrooms. Even better, they all have full kitchens. When you stay at least two nights at one of the resort’s hotel properties, including the Keystone Lodge and Spa and the Inn at Keystone, not only do kids ski free but they also get to “Play for Free.” This includes free ice skating admission, 20 percent off ice skate rentals, one free hour at the indoor tennis center and free night skiing on night of arrival. 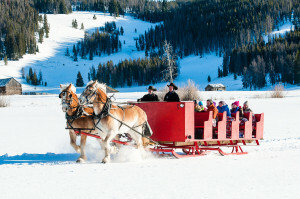 Keystone Resort is your one-stop destination for family fun this winter. What are you waiting for, explorer? Get the gang on board and prepare to greet the fresh mountain air with a smile. Visit KeystoneResort.com for all the details!